MOB boss Daniel Kinahan is effectively living in an “air-conditioned prison in the desert”, according to gardai who say the gangster has surrounded himself with ex-special forces bodyguards and has not left Dubai for more than a year. “Gardai are continuing to monitor his movements and are satisfied that Daniel has not left the United Arab Emirates for well over a year,” a senior source told Independent.ie. It is understood the “extremely paranoid” mob boss spends his days “holed up” in the top-of-the-range apartment with his long-term partner – a woman from Coolock who was previously the girlfriend of slain gangster Michael ‘Micka’ Kelly, who was shot dead by the Real IRA in September 2011. “Daniel is the focus of a number of international police investigations in relation to drugs trafficking and associated crimes, and gardai are investigating whether he actually had active involvement in ordering some of the feud murders against the Hutch faction,” the source said. “It is highly unlikely that he will be leaving Dubai any time soon and all the information that’s coming is that he is in a very isolated position. Sources told Independent.ie Kinahan (40) has enlisted ex-Russian special forces soldiers to carry out private security for him in his Dubai bolthole. The Eastern European mercenaries, believed to be former Spetsnaz members, provide the 40-year-old mob boss with round-the-clock protection as he continues to fear for his own life. The highly trained soldiers are the Russian equivalent of the British army’s SAS or the US navy Seals, and have been involved in high-profile incidents in recent years. In September 2004, they were involved in storming the Beslan school where 1,100 hostages had been taken when it was seized by Chechen extremists. More than 330 people died in the incident. It is understood Kinahan has been living in a compound on the outskirts of Dubai while associates live in luxurious hotels and exclusive apartments. Several of his closest associates based in Dublin have relocated to Dubai, including a 31-year-old criminal wanted for questioning in relation to the murder of Noel ‘Duck Egg’ Kirwan in December 2016. This man is believed to have played a primary role in organising murders for the cartel as it carried out its blood-letting of the Hutch gang. for logistical involvement in other feud murders. linked to the cartel kingpin were leaked to an individual who detectives say is operating a social media site on behalf of the rival Hutch mob. Images of Kinahan’s passport and his Dubai work permit were published on an anti-Kinahan Twitter account. Gardai believe the documents are genuine, according to senior sources. 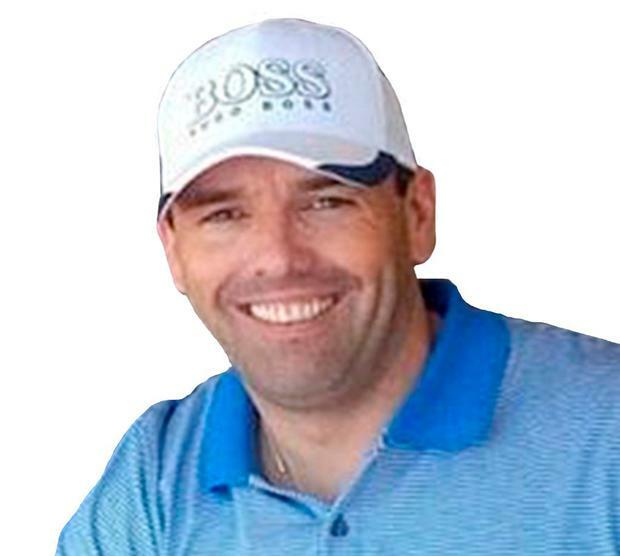 The development came after a Spanish murder trial heard that Kinahan ordered the murder of his former associate Gary Hutch in 2015 – the murder that ignited the feud that has claimed up to 18 lives. Last September, Independent.ie revealed that it is “likely” gardai would serve Kinahan with a GIM form if he returns to Ireland because of the bad feeling his former associates have toward him. A Garda Information Message, known as a GIM form, is an official garda document in which officers give formal notice they are aware of a possible threat on a target’s life or safety. One senior investigator, who said there is a growing belief that “Daniel Kinahan will be murdered by his own” as the force’s relentless drive against the cartel continues at pace. Gardai are aware that many key figures in the organisation have moved to distance themselves from Kinahan. “He might still be calling the shots but there is no doubt that if his dad Christy could turn back the clock on all that has happened since Daniel took over he would,” the source said. Gardai believe their relentless drive against the cartel has disrupted the vast international element of their business.